arm open/close is fast and smooth, easy to use and safe. 1. Gate automatically open when power off, no clutch design, no need human intervention. When power on, gate automatically reset, restore to the gate closing state, truly unattended, fire safety standards. 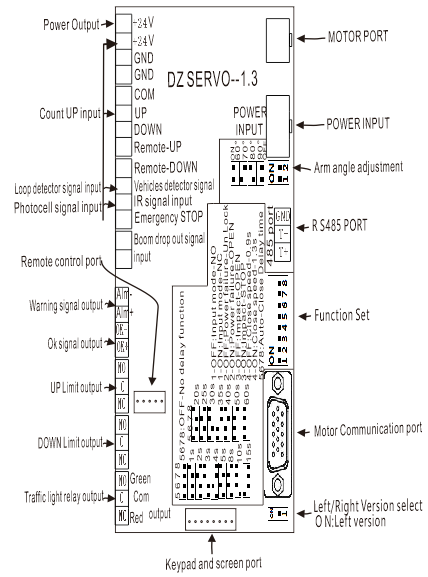 If special requirement,manual operation is required when power off, operating arm open and close manually also can be realized by setting up control board DIP switch, which ensure that the system can be used at any time. close input mode! When in the Normally closed input mode, the input signal is open circuit type and valid. 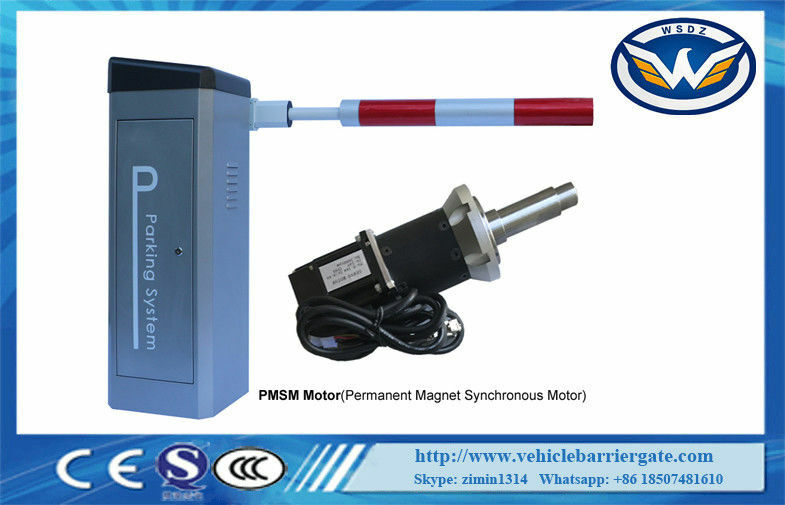 infrared signal input are normally closed signal mode, please use the detector with normally close interface. caused by obstacle. Adjustable for 60°, 70°, 80° and 90°. And the dip switch is another independent one (1 2 switch). when the coil is not connected).The infrared detector uses the NPN type.